WTH? Why are you still there?! You’ve tried everything. You’re washing your face 10 times a day and scrubbing it like there’s no tomorrow but your acne just. Won’t. Budge. Even popping those damn pimples won’t work. For one you kill, two more spring up. It’s a curse! Being harsh on your skin isn’t working. Why not be kind to it instead? Cos acne may be clinging stubbornly to your skin but when you try too hard to get rid of it, you’re actually creating the perfect environment for it to thrive. Don’t pop your pimples. Don’t pick at your pimples. Don’t touch your pimples. Capisce? Look, I get it. Popping those pimples is SO satisfying. It’s also the reason your skin won’t clear up. Pimples don’t like to be popped. If you do it, they’ll get their revenge. Think of pimples like honeybees. When an honeybee stings you, it knows it’ll die. But it also knows it’ll hurt you like hell and poison you. Pimples are just as vindictive. Pimples are infected wounds. When you pop them, the infection spreads around, potentially giving birth to new pimples. Like that weren’t enough, popping pimples can leave scars behind. And those are way harder to treat than pimples. Choose your poison wisely. What to do instead: use a spot treatment with benzoyl peroxide. It kills the bacteria that causes acne, clearing up your skin faster. Sulphur and tea tree oil make good spot treatments too. Related: Is Benzoyl Peroxide A Safe And Effective Treatment For Acne? Makeup. Sweat. Pollution. Your skin gets easily dirty during the day. Add to the mix the truckload of oil the skin pumps out on a daily basis and you’re in bathroom washing your face ten times a day. And then you wonder why your skin feels so dry. Sebum’s your skin natural moisturizer. When you remove too much from your skin, you’re drying it out. And then it starts producing more oil to compensate. It’s a vicious circle than leads to MORE, not less, acne. P.S. While you’re at it, don’t cleanse your face in the shower. The hot water dries out skin, too. What to do instead: wash your face twice a day (morning and night) with a gentle, low-ph foaming cleanser. They cleanse your skin without drying it out. Paula’s Choice Skin Balancing Oil-Reducing Cleanser ($18.00): ph 5.5. Available at Dermstore, Look Fantastic, Nordstrom and Paula’s Choice. Like scrubs with apricot kernels or sugar. The Clarisonic. Anything with small particles or bristles (a washcloth is ok). Breakouts are sensitive things. Scrubbing them (even gently) can irritate skin and inflame it even more. It can spread the infection to healthy areas. And it can cause small tears to the skin that just invite bacteria in. To add insult to injury, physical exfoliants don’t do anything for acne. They can’t treat it or help in it any way. So why do it? What to do instead: exfoliate daily with salicylic acid. Salicylic acid exfoliates the surface of the skin so dead cells don’t end up in your pores. It gets inside the pores, removing all the gunk that’s clogging them up. And it has anti-inflammatory properties that soothe redness. Can your scrub do all that? For the love of your skin, make this switch now. Related: Physical Vs Chemical Exfoliation: Which One Is Good For You? Wait, my skin produces a trackload of oil every day and you want me to moisturize, Gio? Are you nuts? Hear me out. I don’t believe everyone needs a moisturizer. If your skin is simply oily, then a hydrating serum or lightweight sunscreen may be enough for your skin. But if you’re actively treating your acne with benzoyl peroxide, sulphur, retinoids or prescription products, a moisturizer is a must. Those acne fighters are double-edged swords: they rid you of acne but they dry out your skin. And you already know the damage that can cause. Don’t wait until it’s too late before you add a moisturizer to your skincare routine. Do it now so your skin won’t get dry in the first place. 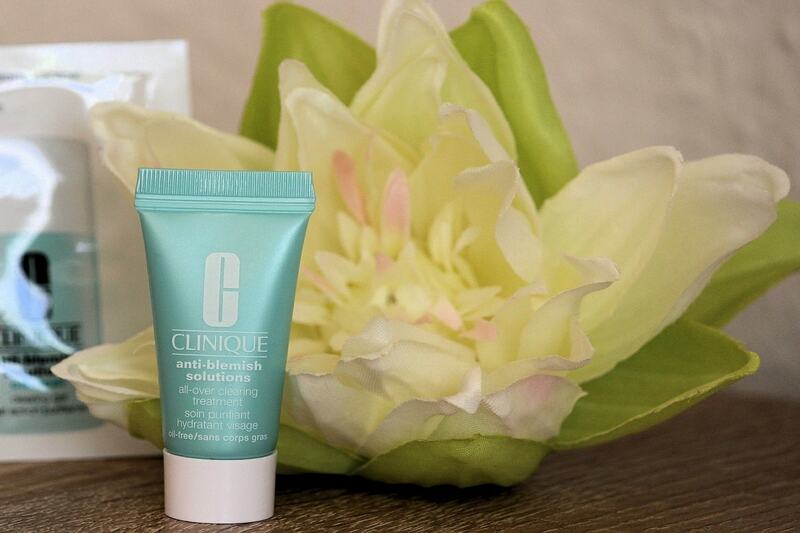 What to do instead: use a lightweight, oil-free moisturizer. They’ll hydrate your skin without feeling greasy. Dr. Dennis Gross Skincare Hydra-Pure Oil-Free Moisture ($78.00): available at Nordstrom and Sephora. Related: Does Everyone Need A Moisturizer? If you have acne-prone skin, you’re probably paranoid about sunscreen. Aren’t they heavy and greasy concoctions that clog your pores and give you more breakouts? Yep, some sunscreens are like that. But just because there are a few bad apples out there, it doesn’t mean you shouldn’t eat any fruits, does it? You may be thinking that your sunscreen does nothing for your acne anyway so why bother? Well, sunscreens may not treat acne but they help heal those post-breakout marks way faster. Acne can leave a small discolouration behind. Your skin produces melanin, the pigment responsible for their colour (and your skin colour), to protect itself from too much sun exposure. You see now how not wearing sunscreens can make those dark marks last way longer than they should? Plus, we all know the sun causes wrinkles. You don’t want to achieve clear skin only to see it marked by premature wrinkles, do you? Be smart. Wear sunscreen. Every day. What to do instead: use a lightweight, non-comedogenic sunscreen every day. Rain or shine. 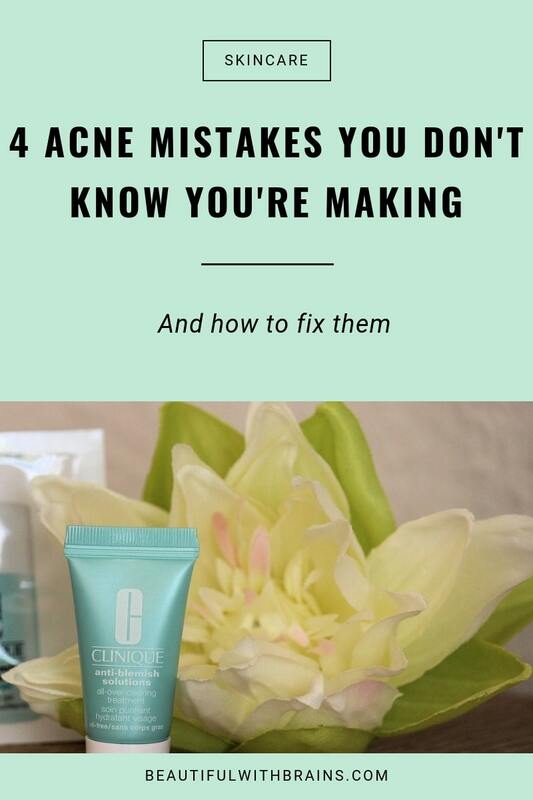 What’s the worst acne mistake you’ve made? Share your experience in the comments below. Is This The Quickest Way To Get Glowing Skin? Do you think physical exfoliants are useful? How often do you think we should use them (like once or twice a week)? I’ve kind of been debating between using a mild one everyday or an apricot scrub between once or twice a week. What would you recommend? PN, yes I think they are useful. They just don’t go the extra mile. For example, a washcloth or sugar scrub only removes dead skin cells while lactic acid does that and hydrates skin at at the same time. Just stay away from apricot scrubs! Apricot kernels have rough edges that can scratch and irritate skin. A washcloth every day would work much better. I agree with everything you’ve said and wish I hadn’t spent years doing just the opposite. As a teenager (40+ yrs ago), most of us attacked our acne with alcohol, scrubs & sunlamps! It took years to break myself of those habits. My skin suffered. Keep spreading the word! BTY…I used the Neutrogena Fresh Foaming Cleanser for years, but something changed; and it burns my eyes like crazy! I wonder if it always had fragrance? My favorites, now, are CereVe Hydrating and CereVe Foaming. Do you like either one of those? Kathleen, I hear ya! We didn’t really know as much about skincare there. *sighs* I LOVE both Cerave cleansers. They’re some of the best you can get at the drugstore.